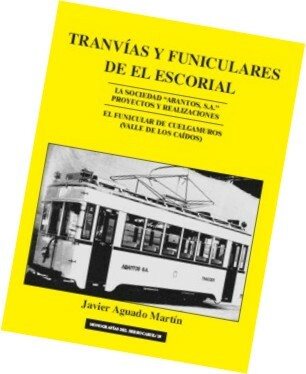 Second book from Javier Aguado Martín in monffcc.com after 26.-The Railroad Villalba-Berrocal, in 2005. This volume deals with all mechanized transport in the area of El Escorial and Valle de Los Caídos. A brief technical guidance on the cable cars give rise to the chapters of that funicular of El Escorial, and Cuelgamuros currently active on the premises of the Valle de Los Caídos. Volume is completed with the description of other projects that were unsuccessful end in the area, as several lines of steam and electric trams, railways and even a trolley line. Size: 27 X 21 X 2 cm.